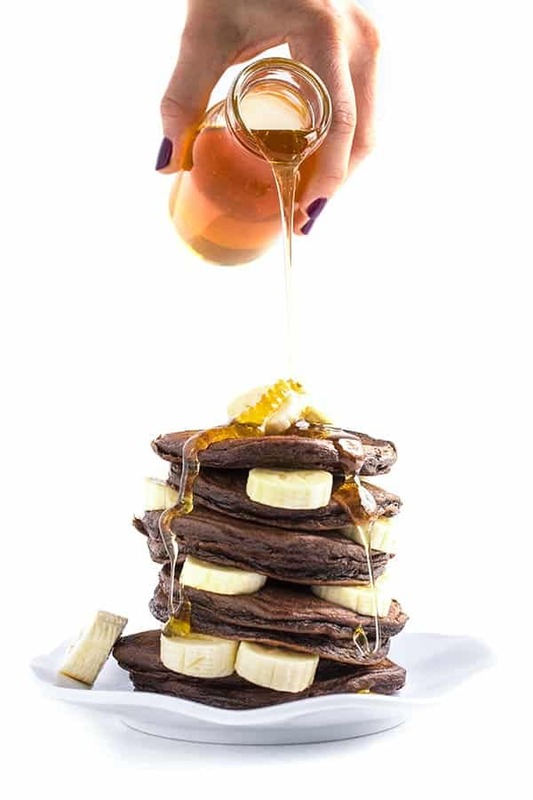 Banana Buckwheat Protein Pancakes are naturally gluten free and 100% whole grain – a perfect breakfast any day of the week. Certain foods will always remind me of my mother and buckwheat is one of them. More specifically, buckwheat pancakes. While my friends were enjoying chocolate chip pancakes and Belgium waffles every weekend, we were most likely eating buckwheat pancakes, steel cut oats or cream of wheat. Now that I have kids of my own, I can’t tell you how grateful I am that my mother taught us to appreciate whole foods with texture and flavor. 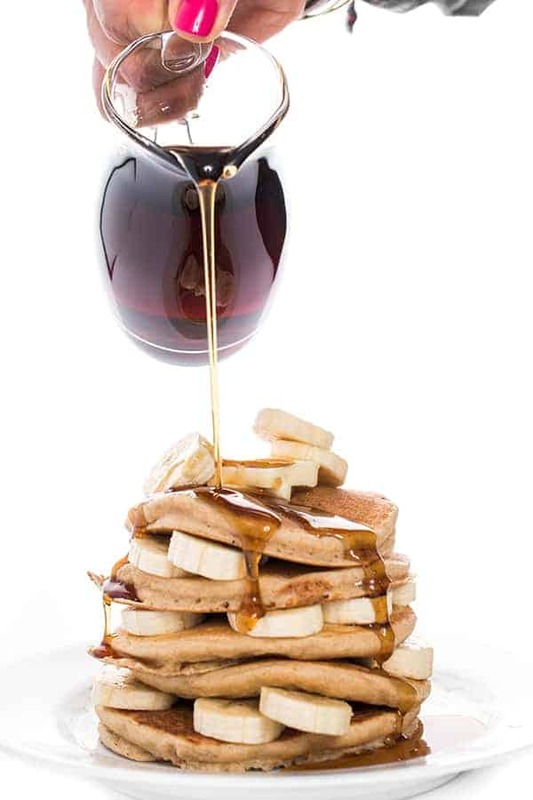 Traditional pancakes made with white flour not only lack vitamins and nutrients but they are essentially all sugar which means you will be craving more sugar (read: more pancakes and syrup) even after eating a giant stack. 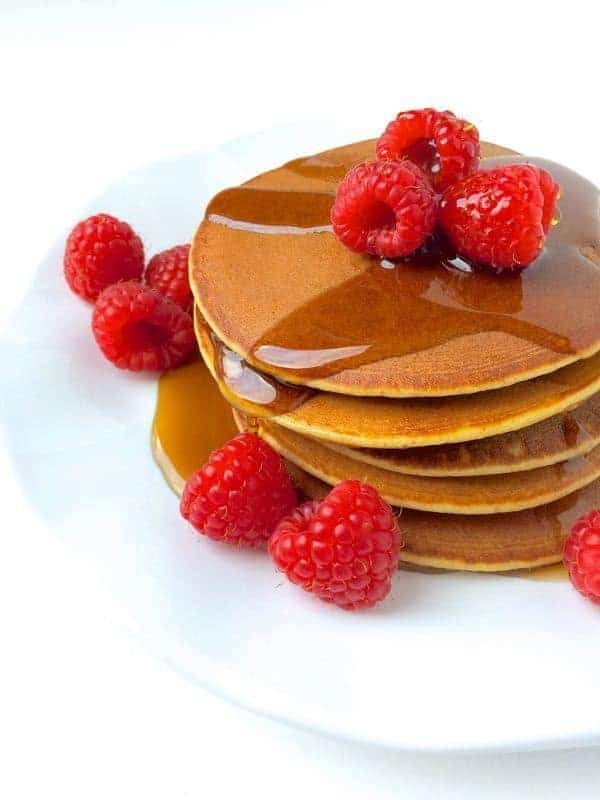 Made with Bob’s Red Mill Organic Creamy Buckwheat Hot Cereal and Whey Protein, these mouth-watering Banana Buckwheat Protein Pancakes are naturally gluten free and 100% whole grain. Each serving is packed with over 17g protein to give you long-lasting energy and help avoid the usual post-pancake sugar crash. My husband loves drizzling them with a little pure maple syrup but I thought they were sweet enough on their own thanks to super-ripe bananas in the batter. Serve with fresh berries or extra bananas and you’re good to go. 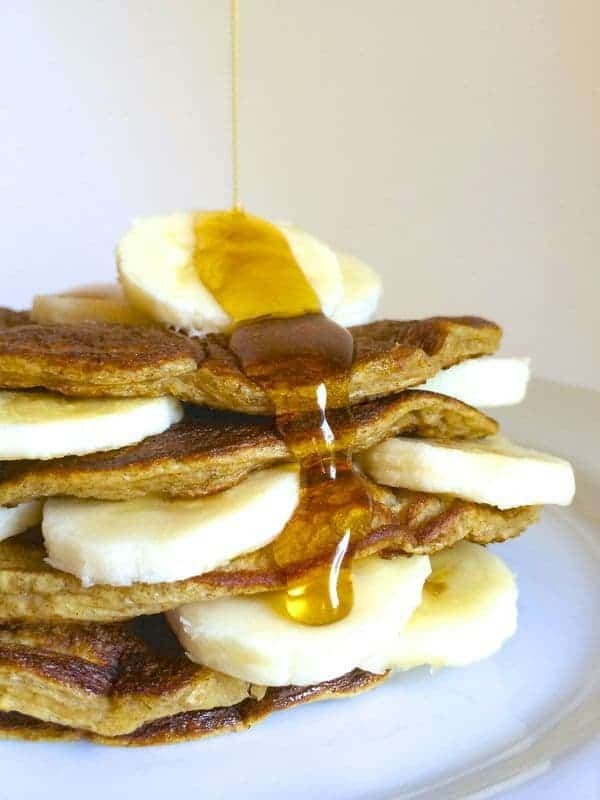 Banana Buckwheat Protein Pancakes are naturally gluten free and 100% whole grain. Place all ingredients in a high-speed blender and puree until batter is smooth. Pre-heat griddle or non-stick pan over medium heat and spray with cooking spray. Pour batter on to pan, 1/4 cup at a time, and heat until bubbles begin to form - about 1-2 minutes. Flip and brown the other side, cooking for another minute or two. 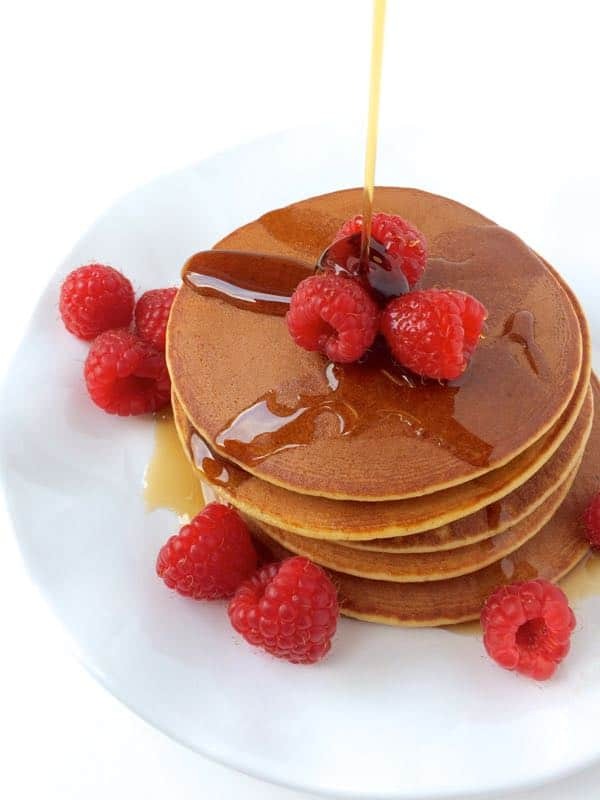 Serve with fresh berries and pure maple syrup if you wish. 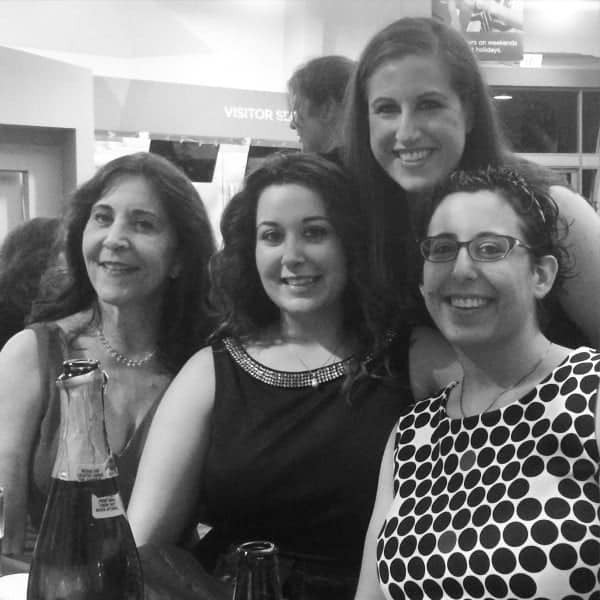 Disclosure: I am honored to be a Bob’s Red Mill ambassador. Thank you for supporting the brands that make The Lemon Bowl possible. As always, all thoughts are my own. Could you use any protein powder? 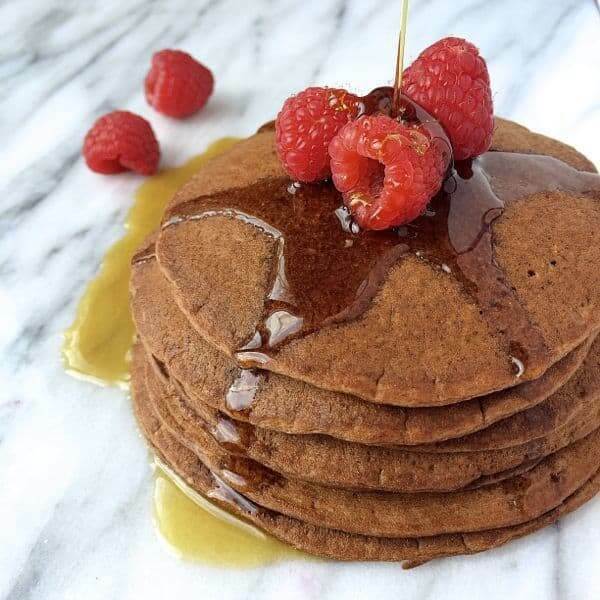 I’ll take the nutty flavor of buckwheat pancakes over plain AP flour pancakes any day! Bonus that they’re extra nutritious. I agree- buckwheat has so much more flavor!! I love finding easy gluten free recipes. We are going to have breakfast for dinner today since I found this recipe! Do you think you can use this batter in a waffle maker? I’ve never tried it so I can’t say but let me know if you do!! 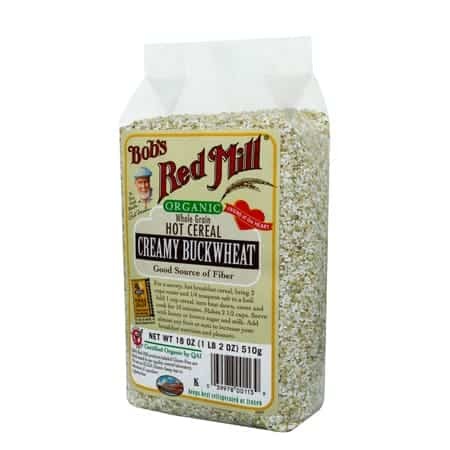 I haven’t found the ingredients yet my local food store seems to have all of Bob’s Red Mill products except the buckwheat… I’ll go to Whole Foods if the snow ever stops! And will let you know how they turn out. Ok I hope you love them!